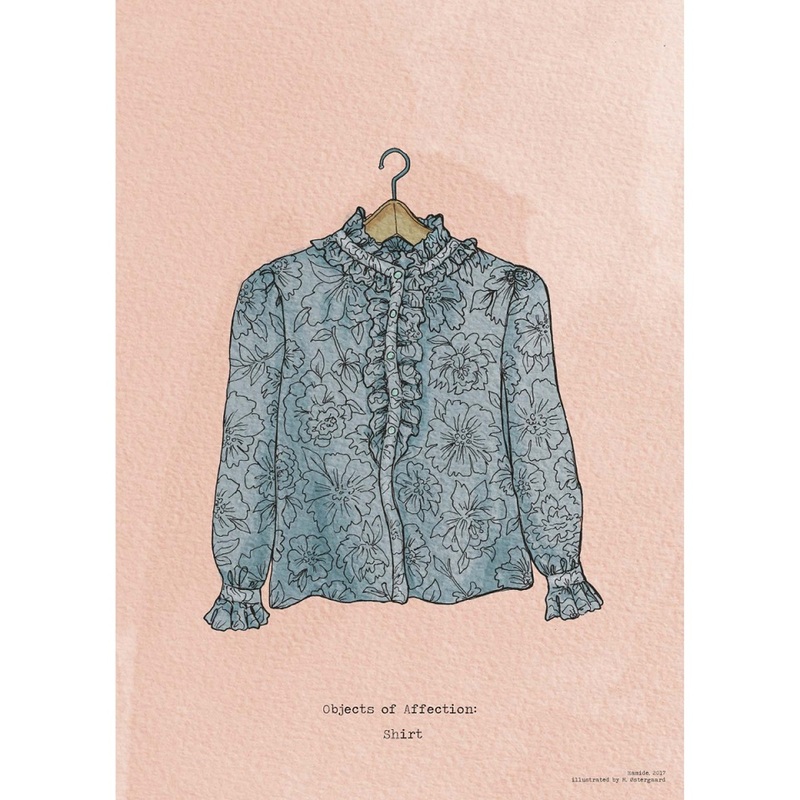 “Objects of Affection: Shirt” is an illustration of a vintage handmade shirt by our honorary founder and mother Hamide. 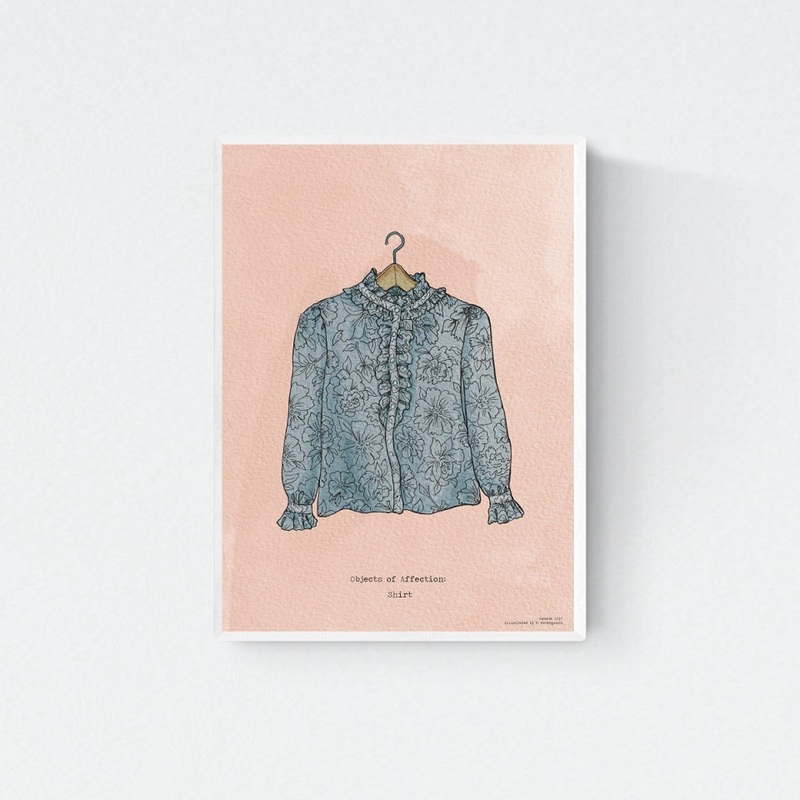 She made this shirt for herself, we are guessing when she was in her twenties based on some photographs and family history. She passed it on to Şeyda when she was in her early twenties.